Despite an offence that was shaky, Laval had a decent showing in the second quarter of the season, in large part thanks to the back end which gets the focus to start our next round of report cards. Players must have played in 5/19 games to receive a grade. Michael McNiven – B: It wasn’t a good stretch to start as he wound up being sent to the ECHL for playing time before Charlie Lindgren was injured. When he returned (even though it was only a couple of days later), McNiven was much better and helped win a couple of games on his own before being recalled to the Habs in late December. 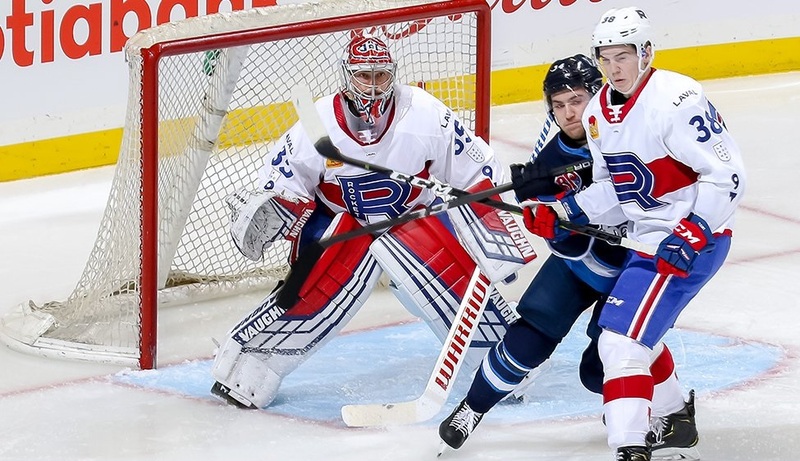 Charlie Lindgren - C: This was not a quarter to remember for Lindgren. He didn’t fare particularly well when he was in the lineup before suffering an injury that cost him a month and a shot at a brief NHL recall when Carey Price was injured. When he returns, how he fares the rest of the way will go a long way towards determining if the Habs are comfortable with him in the number two role next season. Etienne Marcoux – C-: Marcoux had a real opportunity as he was initially summoned when McNiven was scuffling. However, he wound up ceding time to McNiven quickly and then was outplayed significantly by Connor LaCouvee. When a player on a tryout takes your place on the roster, things are not going well. Victor Mete – A-: It wasn’t pretty at the beginning of his stint but he made a sizable impact in his limited time with the team. 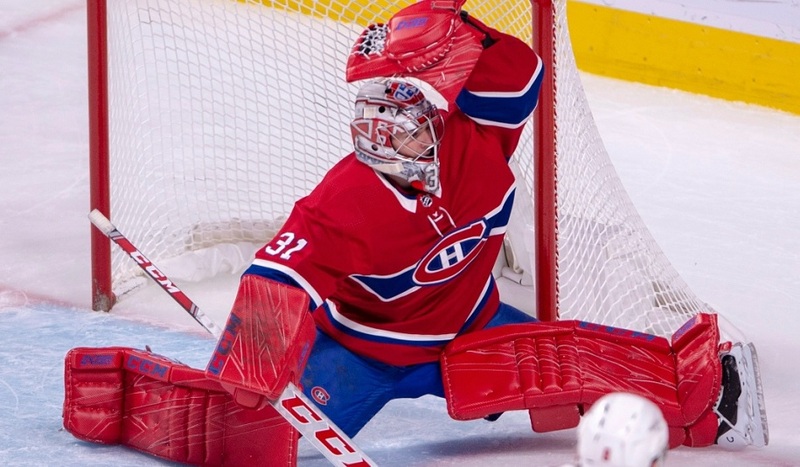 He was encouraged to play more aggressively and that was to his benefit, as well as that of the Habs since his recall. Plus, he scored a goal (seriously). Cale Fleury – B+: Fleury has made impressive strides from the start of the season and when he has been in the lineup, he’s now seeing a fair bit of time in a top-four role. The issue for him this past stretch was staying healthy as he was limited to just ten games. While there is cause for optimism about his NHL upside, he’s nowhere near ready just yet; patience will be required. 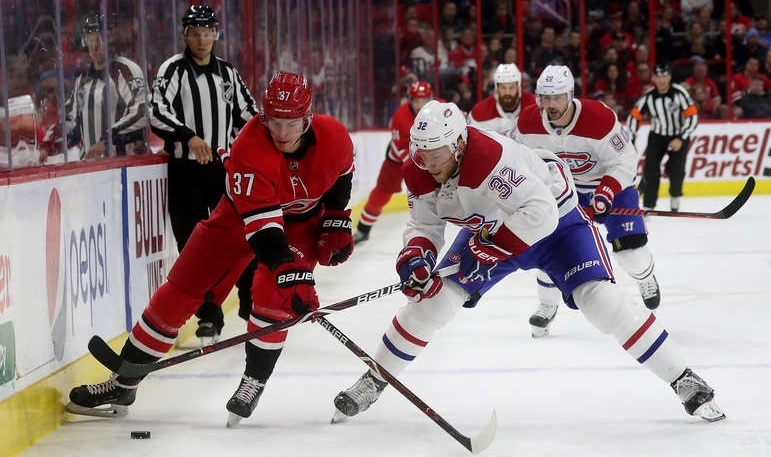 Xavier Ouellet – B+: While he wasn’t exactly the most stable defenceman with the Habs, Ouellet brought some much-needed stability to Laval’s back end, particularly with Brett Kulak in Montreal (presumably for the rest of the year). He gives the Rocket a much-needed offensive threat, something they’ve lacked a lot this season. Maxim Lamarche – B: At the halfway point of the season, he led Laval’s defence in points. I don’t think anyone would have predicted that. While it’s a sign of how little offence they’ve had from their back end, it’s also a sign of how Lamarche has worked his way into a full-time spot in the lineup and was arguably their unsung hero of the first half. Karl Alzner – C+: It’s hard to put expectations on Alzner. His contract is ugly but at the same time, it was hard to expect much from him after sitting for as long as he did. In the end, his time in the lineup was largely uneventful but all things considered, that’s not necessarily a bad thing as that is the style he tries to play. David Sklenicka – C: There hasn’t been much progress but there hasn’t been any real regression either. It’s true that he has had some defensive blunders but that was the book on him going in. Given his propensity to jump into the rush, he should be having more of an impact at the offensive end which is something to watch for in the second half. Brett Lernout – C: Lernout has been decent but considering this is his fourth season in the AHL, decent isn’t really good enough. He’s a good performer on their penalty kill that alone isn’t going to be inspiring much confidence in Montreal’s coaching staff if they have to dip down to Laval to bring someone up. Michal Moravcik – D+: Moravcik was supposed to bring some stability to the Rocket. That hasn’t happened. Quite frankly, he hasn’t been good enough to be in the lineup most nights which resulted in him seeing some time in the ECHL. His first season in North America has not gone well at all.